The town itself is a sprawling, pretty Wild-West-sort of place with sandy streets and horse hitch-rails by every door. 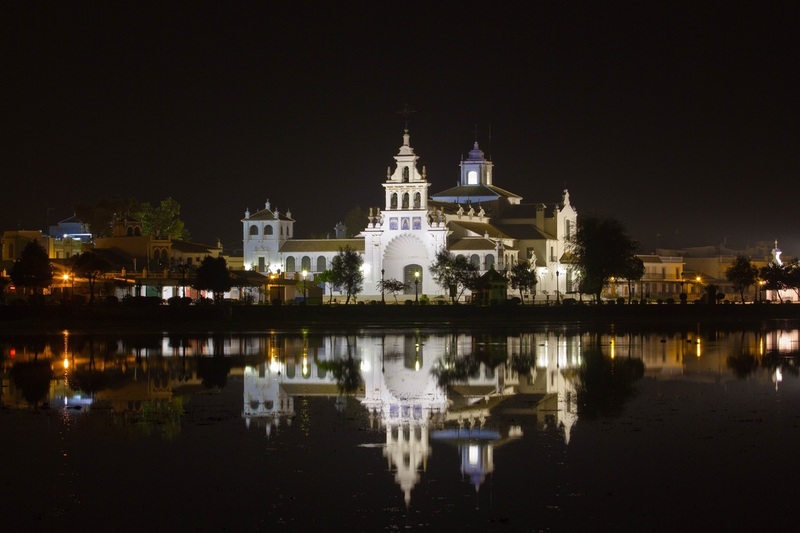 For a few days in late May or early June, Catholic hermandades (brotherhoods) and countless others flock here from all over Spain, and beyond, to pay tribute to the Virgin del Roció, housed in her own church of the same name. I photographed the Church at night from across the lagoon, which in winter is teeming with waders and wildfowl. Spanish Imperial Eagles can sometimes be seen wheeling overhead, it is a unique place. In Spain, tradition and cultural roots have not been totally lost in the rush to modernity. Herds of goats or sheep are moved every day to find fresh pasture, and here a father chats on his mobile phone as he and his son drive the oxen that will pull a cart laden with hay for their winter feed. Many Spaniards have a finca (farm, or smallholding) where they labour many hours tending olives, citrus, avocado, nispero (custard apple), almond, mango, pomegranate, even banana and all manner of vegetable and salad crops. The work is almost exclusively done by maual labour, one rarely sees a tractor on a smallholding. Elena loves the wild flowers that grace this country in Spring. Here she is in an abandoned garden by a ruined cortijo (farmhouse), one of many scattered across the hills of the Axarquia region. .....and here she is by the roadside, in a field of barley with a border left fallow and full of bright poppies and other wild flowers. No evidence here yet of the sterile intensive agricultural methods that decimate wildlife, typical of areas of Britain and much of Northern Europe. Out on a macro photoshoot with Frigiliana Camera Club along the Rio Higueron. 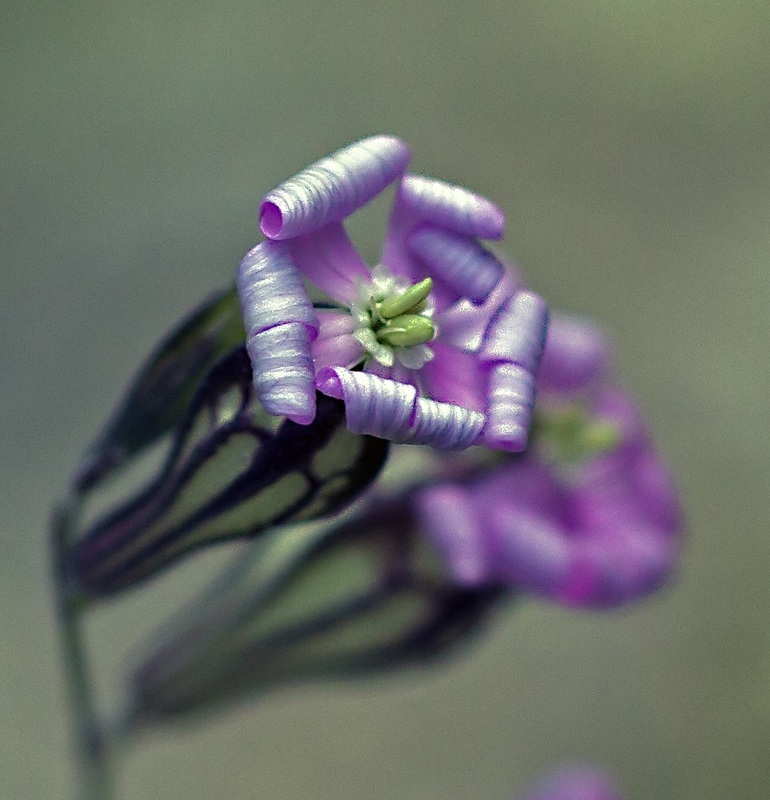 I took this shot of a tiny flower with curiously rolled up petals. The soft pastel colors and washed out bokeh made a nice image so here it is. I suspect the petals roll up once daylight has gone, I took this after the sun had moved below the horizon. 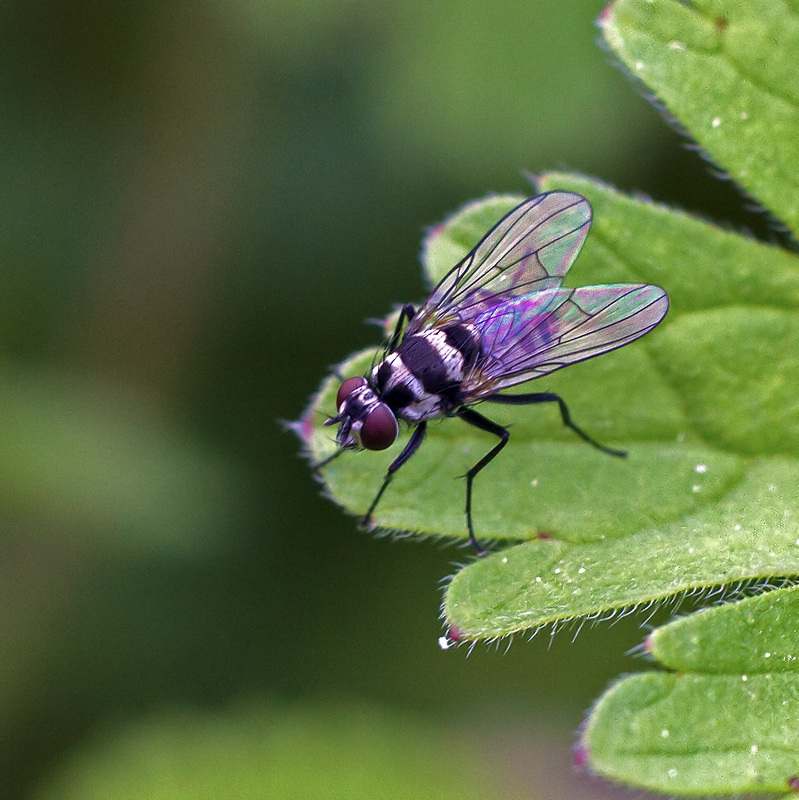 Another shot taken on the same photoshoot, this time of a very small but quite exquisitely formed fly. The neat black and white body hoops and large brown eyes create a very mechanical appearance. A marvelous piece of evolutionary engineering. These shots were taken with a simple 50mm f1.8 lens with the addition of a 12mm extension tube for closer focusing. Here´s a scene from the beautiful Italian Lake Como. It is a sublime stretch of water with breathtaking views around every bend. Little wonder then that the rich and famous choose buy villas here. I like this shot because of the contrast between the vibrant greens of the garden with the almost monochrome background mountains and cloud. On a birding trip to Extremadura we came across this idyllic scene close to a village aptly named Plasenzuela. We believe it is the site of a "Shrine" that will host a Romaria, a traditional annual pigrimage made by villagers and often others from far and wide.The bridge is for aesthetic reasons only, there is no road crossing the small pond. During a "Street photography" shoot with the Camera Club I caught this chap standing in a doorway near the Balcon de Europa in Nerja. I was just using a compact camera but his interesting face and the split lighting effect give the picture import and make it work. 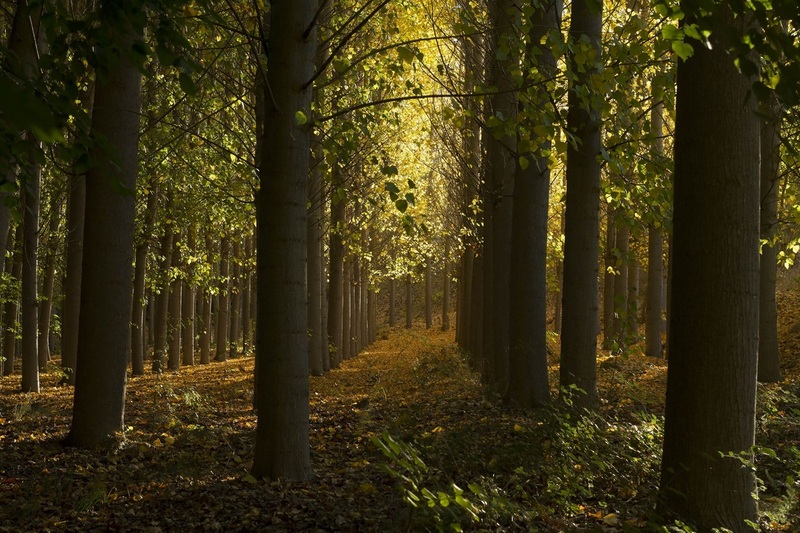 Late evening sunlight is given a golden glow as it filters through the Autumn leaves of these maple trees. We enjoyed this forest walk by the hot springs of Alhama de Granada. Here´s great shot from daughter Louise of my grandson Arlo, who can already swim underwater. He´s three months old now so time to get him started as his Mum & Dad are divers and he needs to get with it asap. Seems to be doing ok eh? I took this on the finishing line at York Races. I like the tight, shiny, muscular body of the racehorce, moist with sweat as it strains to victory by a nose. 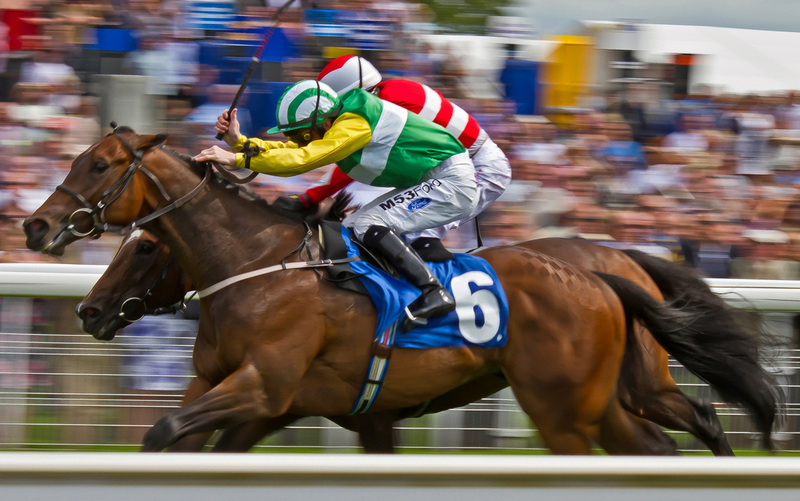 The jockey's silks add colour and the sense of movement and action make it a good photo. The sea and sky can be dramatic. No artist picturered this better than JMR Turner. I always loved his paintings and sometimes try to capture the same feel. 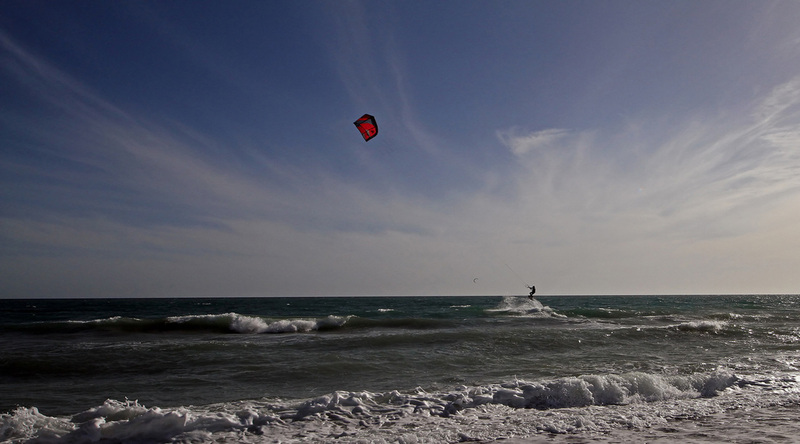 I quite like this wide angle shot of a solitary kite surfer on a breaking wave off the beach at Motril. On 30th October 2015 Elena's daughter Olga finally married her long time partner Mikhael (Misha) at the Russian Orthodox Church in Chiswick, London. I was asked to bring my camera along which was a bit daunting as everything had to be taken using flash photography, which I am not very good at. However I was quite pleased with the results. here's a shot of the couple having just entered the Church, and the stunning dress, made by Olga herself, just glows in the subdued lighting. 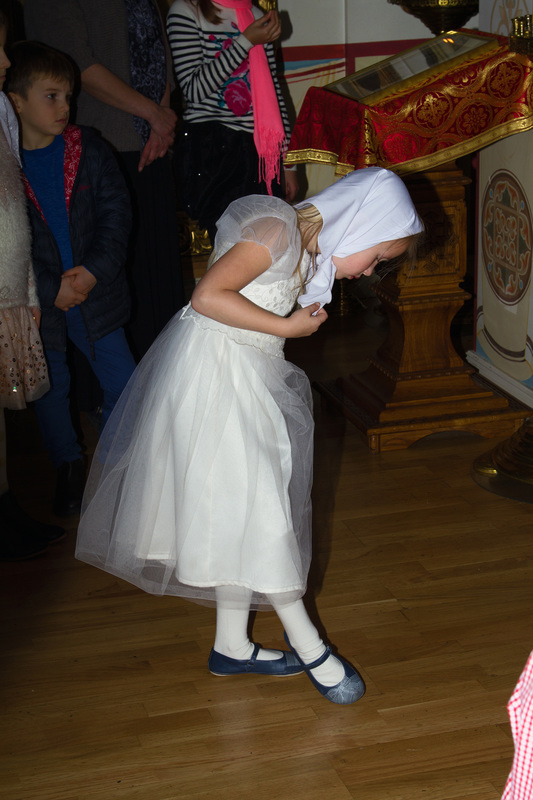 ..... and here's a shot of their daughter, Elena's grandaughter Maria, also in the church, checking her shoes. I quite like this picture. The scene and lighting is reminiscent of paintings by Dutch masters such as Vermeer, or my absolute favourite, Pieter de Hooch.